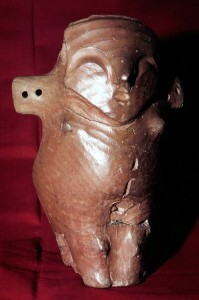 Although some evidence indicate that grapes were well-known to people who inhabited the territory of present-day Serbia in the neolithic period, fossil remains excavated at the archaeological site Vinča, in the vicinity of Belgrade, most probably represent wild-grown grapes which have most probably been used as food. Unfortunately, science still cannot provide answer with certainty as to whether those amphorae found in Vinča had been used to store wine or a drink similar to present-day beer which was made from fermented barley and wheat. Taking into account that neolithic culture developed and spread from the east, i.e. from the Anatolian plateau in Turkey across the Balkans towards Central Europe, it is highly probable that neolithic people in Vinča got an opportunity to taste wine which was arriving with trade caravans from the east. The foundations of viniculture in Europe, including Serbia, were laid by the Romans, who contributed most to classification of grapes, observation and recording of its best characteristics, identification of pests and disease, and identification of soil features. 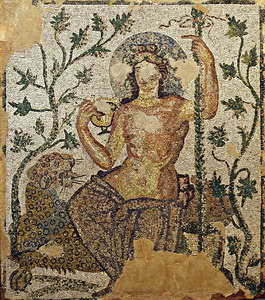 There are numerous records which depict Romans as skillful vintners and wine-makers. Hence, it is also considered that vinegrowing flourished in our regions in the period of the Roman Empire. Back in 92 AD, emperor Domitian prohibited wine production in Roman provinces outside the Apennine Peninsula because the Roman Empire was facing large surpluses of wine on the market. Therefore, the Roman ruling classes in Sirmium mostly drank wine imported from Italy. 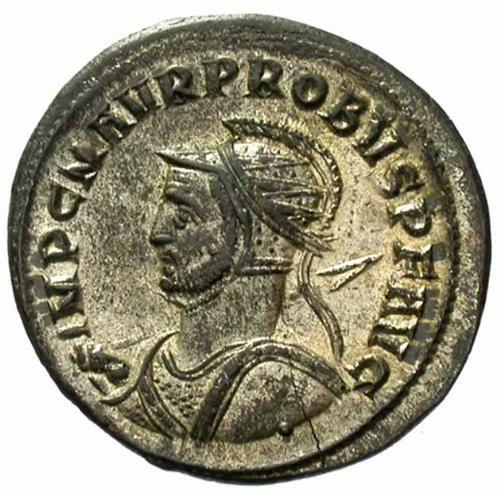 Sirmium (present-day city of Sremska Mitrovica) was proclaimed one of four capitals of the Roman Empire in 294 AD during the period of the Tetrarchy. Emperor Marcus Aurelius Probus (276-282 AD) often employed his soldiers in interim periods between wars to perform tasks which were benefitial to local population: swamp drainage, digging canals, construction of roads and bridges, planting vineyards. Historic records show that Probus planted grape vines in Roman provinces of Pannonia, Gallia Narbonensis and Moesia around 280 AD. This was in accordance with the decision issued by Emperor Probus to call off a ban imposed by Emperor Domitian on growing grape vine outside the Apennines. Although we are grateful to Probus nowadays because he disseminated love for wine and grapes in our regions, his soldiers most probably didn’t show such appreciation because they had to roll up their sleeves upon return from war and labour all day long under the sun on the slopes of Mt Fruška Gora. 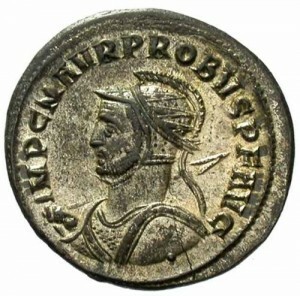 As witness to this unpopularity, historic records tell us that Emperor Probus was murdered by his soldiers. Having arrived in the Balkans in 7th century, the Slavic tribes came into contact with vine-growing. Development of Serbian state in the Middle Ages during the Nemanjić dynasty (from 11th till 14th century) meant also growing interest in wine-making. This was largely fuelled by the fact that pagan Slavic tribes were converted to Christianity, where wine occupies an important position as the symbol of Christ’s blood. Development of vine-growing in this period is largely related to monastery estate and estate owned by the Serbian ruling classes. Monasteries used to grow their vineyards on monastery estate called “metoh”. Metoh of monasteries Visoki Dečani and Devič was on the territory of Velika Hoča village , while the metoh of Pećka Patrijaršija monastery was on the territory of Orahovac. Vineyards of the Serbian ruling class were cultivated by serfs, who were granted the right to use vineyards and land on condition that they pay to the landowner a fee called “čabrina” in the form of agricultural produce, i.e. one tenth of produced wine. It is recorded in Studenica Charter (12th century) that Stefan Nemanja (1168-1196), the founder of the Serbian ruling dynasty Nemanjić, presented neighbouring wine-growing villages as a gift to Studenica monastery. At the end of his rule, Stefan Nemanja also gave vineyards in Velika Hoča, the famous wine-making village, as a gift to Hilandar Monastery in Mt Athos. Historic records bear witness that in 1189, Stefan Nemanja welcomed German Emperor Frederick I Barbarossa and his crusaders with wine and mead (“vino et medone”). All Serbian rulers paid great attention to vineyards, thus they outlined today’s wine regions. In the Charter written by Stephen the First-Crowned (1198-1228), diluting wine with water was strictly forbidden. Later on in the Middle Ages, king Milutin (1282-1321) maintained quality of vineyards in Kosovo-Metohija. There is written record that during the rule of Emperor Dušan the Great (1331-1355) wine was transported by a 25- kilometer- long “wine pipeline” to cellars in Svrčin and Ribnik. Emperor Dušan also made the first laws which introduced for the first time the notion of protected geographical indication and wine quality. The Law lists a number of wine-making places in Kosovo and Metohija, such as Imperial Winery and Gornja and Donja Hoča. Despot Đurđe Branković (1427-1456) made great contribution to development of vineyards in Smederevo region, while prince Lazar (1385-1389) gets the credit for creating a vinegrowing region in Župa. After the arrival of Turkish conquerors, wine production is gradually losing its importance, because Islamic religion prohibits alcohol consumption. Special squads of Turkish soldiers called “akinci” were employed to destroy vineyards. Grapes were mostly used as food, so table grape varieties such as Drenkovi, Afus Ali and Ćilibarka were imported in Serbia during the Turkish period. It should be also mentioned that the Turks are responsible for arrival of plum in Serbia, which is now considered as the Serbian national fruit. After the year 1389, Serbian population fled northwards in order to escape the Turkish rule. Serbian people, clergy, monks and some nobility settled down in Srem region and founded there monasteries, estates and vineyards. They also brought their rich experience in growing grape vine and wine production. Owing to them, vinegrowing started flourishing to the north of the Danube and the Sava rivers – wine regions of Banat and Srem. Their credits are also the change of grape varieties which were grown. For example, instead of formerly grown white grape varieties in Fruška Gora, Serbian population from the south brought the culture of growing red grape varieties, which prevailed soon afterwards. After signing of the Karlovac Peace Agreement in 1699 when Srem and Banat regions became part of the Habsburg Empire, territory covered by vineyards in Srem increased heavily. During this period, wine also played an important role in politics. Metropolitan bishops of Karlovac often presented the Habsburg court dignitaries in Vienna with barrels of bermet and ausbruch “with discretion” in order to win some privileges for the Serbian population. During the rule of Maria Theresa, the territory of South Banat was colonized. The Serbs who fled from the Turkish rule and Germans outnumbered all the others. It is believed that the Germans brought Riesling grape variety to Banat. Over time, Vršac vine-growing area became the most productive vine-growing region not only in Hungary, but entire Europe as well. According to the records, 56 million liters of wine were produced in Vršac in 1875. The Golden Age of Vršac vinegrowing area was interrupted by Phylloxera outbreak. The first isolated case of Phylloxera was discovered in 1880, but since it was an excellent year, nobody listened to Prof. Joseph Weidler’s warnings. In the coming few years, similar to other vinegrowing regions in Europe, Phylloxera devastated vineyards. In Banat region alone, territories covered by vineyards shrank from 7,500 hectares to 2,500 hectares. Local farmers attempted diverse methods to cope with phylloxera plague. Ideas ranged from flooding the vineyards to injecting carbon disulfide into the soil surrounding the grape vine. Based on scientific findings originating from France, the first cuttings were grafted onto resistant American native rootstock in Vršac in 1882. Phylloxera was eventually defeated, yet it left grave consequences on vineyards and habits of local vinegrowers. After painful experiences with phylloxera, local vinegrowers realized that they need to modernize their production of grapes and wine. Concerning vineyards in Srem region, phylloxera was first reported there in 1881, and by the year 1890, all old vineyards on Mt Fruška Gora were destroyed. Recuperation of vineyards took about 30 years, and red grape varieties in vineyards were once again replaced by white grape varieties. Red and White Slankamenka, Welschriesling, Rheinriesling,Red Dinka (Ružica), Chasselas, Blaufrankisch became the most common varieties in vineyards. If bermet and ausbruch were known as the most famous wines of Sremski Karlovci in 18th and 19th century, then Welschriesling will earn this title in 20th century. The first Serbian wine encyclopaedia originates from 18th century, i.e. 1783. It was written by Zaharije Orfelin and published in Vienna under the title “The Experienced Cellar Keeper”. The book was a compilation of everything that was known at that time about production of Fruška Gora wines, as well as French, Italian and German wines. In the section of “herbal wines”, Orfelin described the production method of the famous bermet from Sremski Karlovci. In 1816, Prokopije Bolić, the Archimandrite of Rakovac monastery, assembled all his personal experience gained by work in monastery vineyards and cellars and published them in 1816 in Budapest in the book titled ” A Perfect Winemaker” together with Serbian translation of the book written by French scientist Jean-Antoine Claude Chaptal. This book is valuable because Bolić described 35 grape varieties which were grown in Mt Fruška Gora at that time, whereas each variety is given its common name, botanical description and agricultural/technical features. Based on this book, we can conclude that white grape varieties prevailed, particularly Smederevka and White Slankamenka (Mađaruša). After phylloxera plague, vineyards were replanted quickly and efficiently, to the greatest extent owing to state subsidies and newly established vine nurseries in Smederevo (in 1882), Bukovo (in 1886), Jagodina (in 1889) and Aleksandrovac (in 1891) which introduced new varieties grafted onto resistant rootstock into Serbian vineyards. Alongside vine nurseries, new vinegrowers and wine-makers’ cooperatives were established, such as Venčac vinegrowers’ cooperative founded in 1903 in the village of Banja near Aranđelovac. Soon afterwards followed founding of Smederevo vinegrowers’ cooperative in 1909, Jovac vinegrowers’ cooperative in 1908 , Knjaževac vinegrowers and wine-makers’ cooperative in 1927 and Negotin vinegrowers’ cooperative in 1929. The period of recuperation was interrupted only during the period 1912-1918 because of wars. In the course of the Second World War, vineyards were ravaged heavily since there were no conditions during war times to provide proper care and maintenance of vineyards. Lack of men in the workforce and pesticides were the major problem in vineyards of that time. After the end of the Second World War, the country’s restoration became a priority. Unfortunately, this did not include restoration of the vineyards. Owing to industrial development, there was a large-scale migration of rural population into towns where they were employed in factories and industrial plants. During this period, wine production took place in large industrial wineries established by the Government of the People’s Republic of Serbia. In the year 1950, Navip (industrial winery) was founded on the infrastructure of Bruno Moser’s wine cellar in Zemun. Shortly thereafter, in 1955, Rubin (another industrial winery) was established in Kruševac, followed by Vinožupa in 1957 in Aleksandrovac. As far as individual producers are concerned, nationalization and confiscation occured. The land was confiscated from monasteries as well. Individual producers were in an extremely difficult situation due to impossibility of placing and selling wine directly. In 1970, a law was passed that prevented vinegrowers from producing wine. In this way, vine growers could only sell their grapes to large industrial wineries or illegally sell wine to neighbors and relatives. Owing to such laws, large wineries quickly gained monopoly on the market, and they dictated purchase price of the grapes, which brought vinegrowers into a difficult position. This led to shrinkage of vineyards and transition to more viable agricultural crops. At the time, Yugoslavia followed a policy of quantity, rather than quality. Thus, Yugoslavia became the world’s fifth exporter of bulk wine. In those years, vineyards planted with international grape varieties were on the rise, whilst the major local varieties were Smederevka and Italian Riesling. The Institute for Viticulture and Winemaking was founded in 1974 and then the scientific work on creation of new varieties kicked off. Dragoslav Milisavljević, PhD crowned his work in 1971 when three new grape varieties were officially recognized: Neoplanta, Sirmium and Župljanka. Ten years later, Milisavljević together with his colleagues Sima Lazić and Vladimir Kovač created varieties Rumenka, Probus, Sila, Nova Dinka. In the last decade of the twentieth century, the renaissance of Serbian winemaking began. Small private wine cellars brought a revolution when it comes to new technology in vineyards and in the wine cellar. The main priorities of small private wineries were varietal selection, vineyard management with adequate clonal selection and certified planting material. A range of new varieties that have never been cultivated in Serbia before have been introduced: Tempranillo, Marselan, Petit Verdot, Malbec, Shiraz, etc. The government supports planting modern vineyards with international grape varieties, among which the most common were Cabernet Sauvignon, Merlot, Chardonnay, Sauvignon Blanc. Also, the popularity of wine among consumers is growing. In the last decade of the twentieth century, the average annual consumption of wine per capita was 4 liters. Serbian wine growing in the twenty-first century continues its development. The surface covered with vineyards continue to expand and after 15 years, they have reached total surface of ​​25,000 hectares. 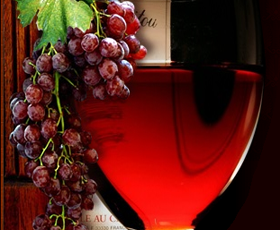 The average annual consumption of wine per capita in Serbia has reached 13 liters. Also, autochthonous grape varieties come in the spotlight, so vineyards planted with Prokupac, Grašac, Začinak, Tamjanika, Seduša, Furmint multiply. Starting from 2016, the International Prokupac Day is celebrated on October 14th, which contributes to promotion of Prokupac as a local variety of Serbia.